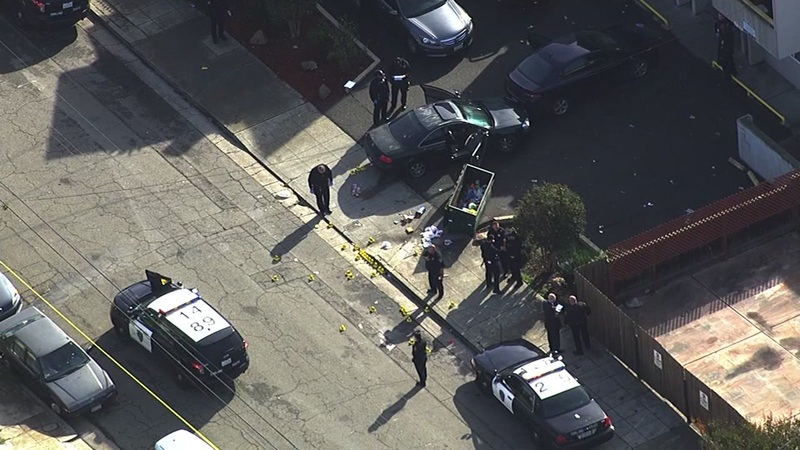 OAKLAND, Calif. (KGO) -- Oakland police and firefighters are investigating a shooting on 39th and West streets, a block west of the MacArthur BART station. Two men were shot, one was pronounced dead at the scene. The other man was transported to the hospital where he died. At one point, officers were focused on a black Acura surrounded by several dozen evidence markers. Police have closed 39th street at West Street for the investigation.